I have had the privilege of observing and photographing wildlife in the Greater Yellowstone Ecosystem over the past 8 years. This unique area is the largest, mostly intact, temperate ecosystem in the northern hemisphere and home to the greatest concentration of wildlife in North America, including herds of free-roaming bison. Bison are the largest land animals in North America, standing approximately 6 feet tall at their shoulders, weighing up to 2000 pounds, and able to run 45 miles per hour. To encounter such a massive, prehistoric looking animal in the wild, is arresting and the use of a very large telephoto lens is a prerequisite for a close encounter. 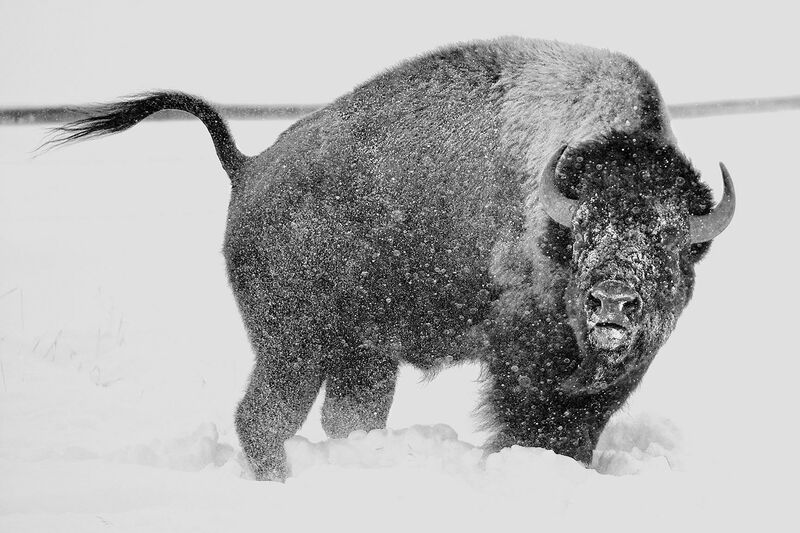 I was intrigued by the resilience and character of this iconic survivor and soon began photographing bison, in all seasons and all weather conditions. 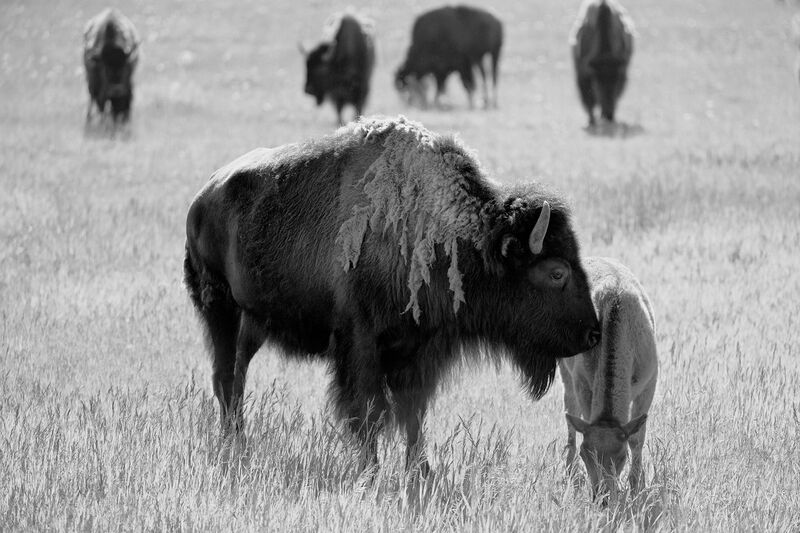 Continued observation of the Wyoming herds led me to study their place in history, the reason why this is one of only a few areas left in North American where bison roam free and the factors that influence their preservation today. 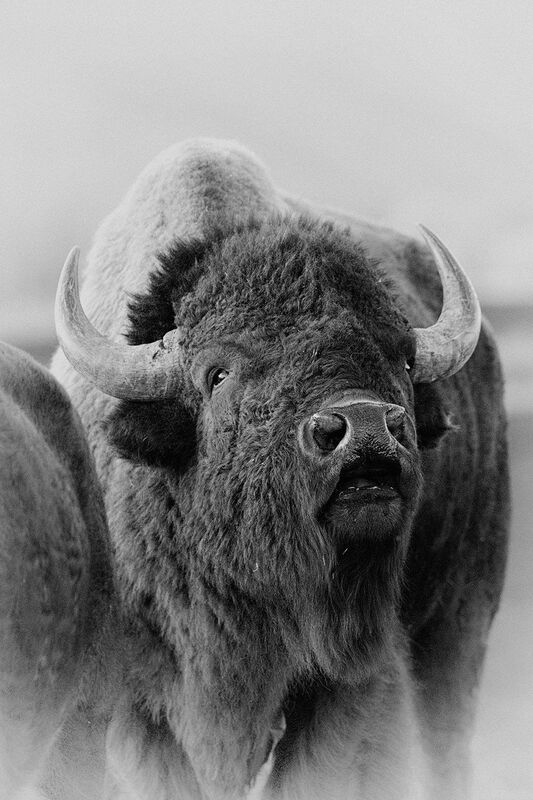 Once called the ‘special Gift of the Great Spirit’ by the aboriginal peoples of North America, bison have existed since prehistoric times. 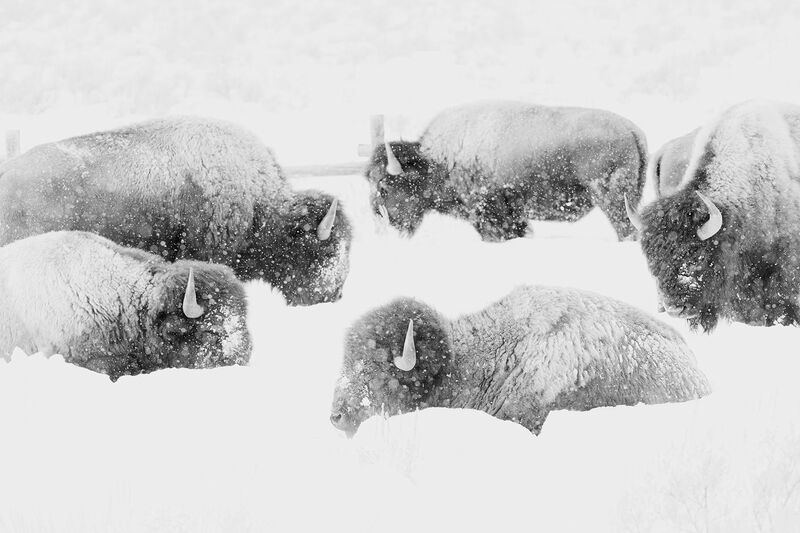 In the early 1800s, the herds of bison numbered as many as 60 million. By the end of that century, however, they were reduced to near extinction due to hunting, the arrival of settlers, interference with their habitat and other human and natural causes. 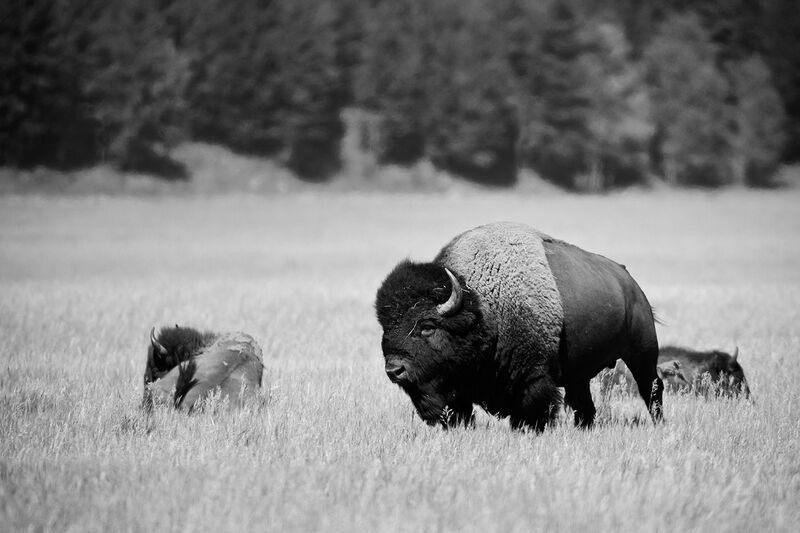 While there are now approximately 500,000 bison in North America, due to the efforts of farmers, ranchers and conservationists, only 30,000 are wild. The Yellowstone herd, numbering approximately 4000, is the largest, oldest, genetically pure, free roaming bison herd in North America. 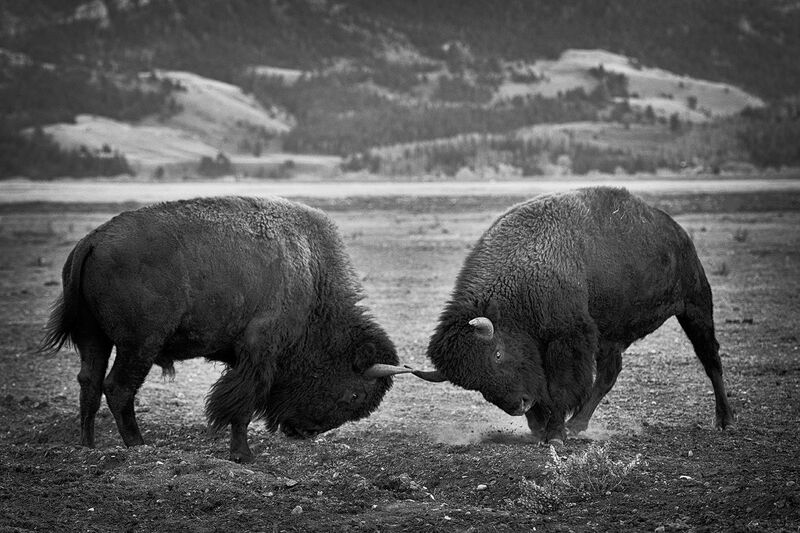 Bison do not survive because they are a robust, resilient species. Their sustainability depends on a recognition of the interconnectedness of people, wildlife, land and the environment and on people taking meaningful action in the complex area of wildlife conservancy. 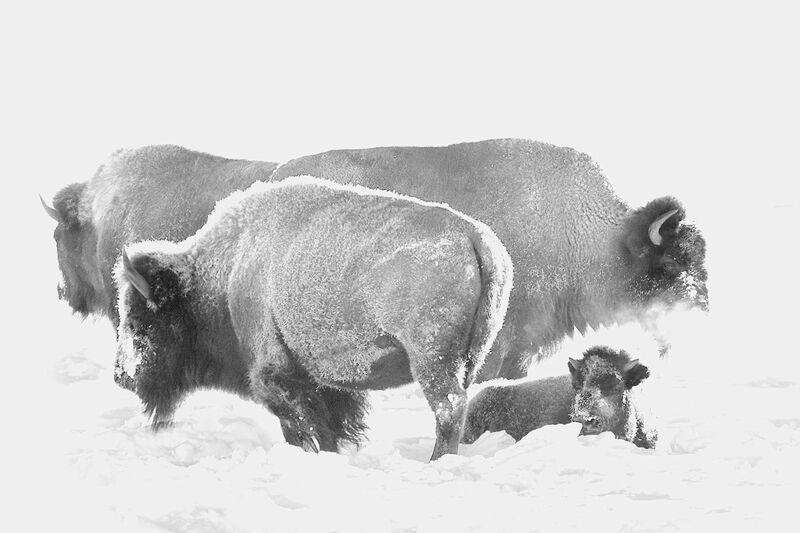 By exhibiting my bison prints, I hope to give people the opportunity to celebrate these incredible wild animals and gain an awareness of the importance of supporting efforts to ensure their protection and preservation. 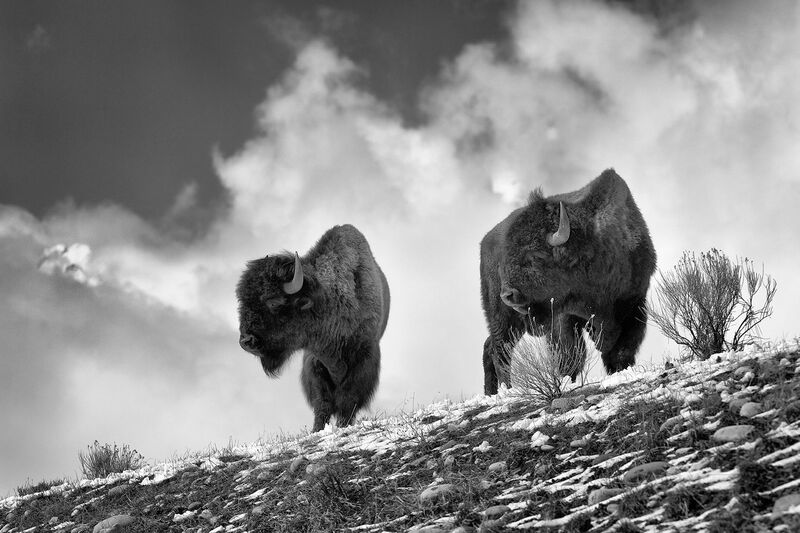 The Bison photography in this portfolio are presented as platinum palladium prints. 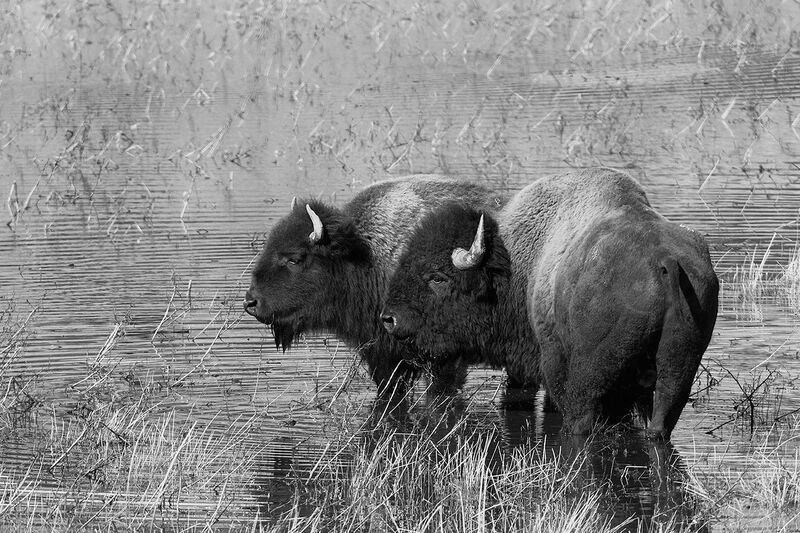 This hand-made printing process was popular at the end of the 1800s which, interestingly, was the same time that the bison were being pushed to near extinction. 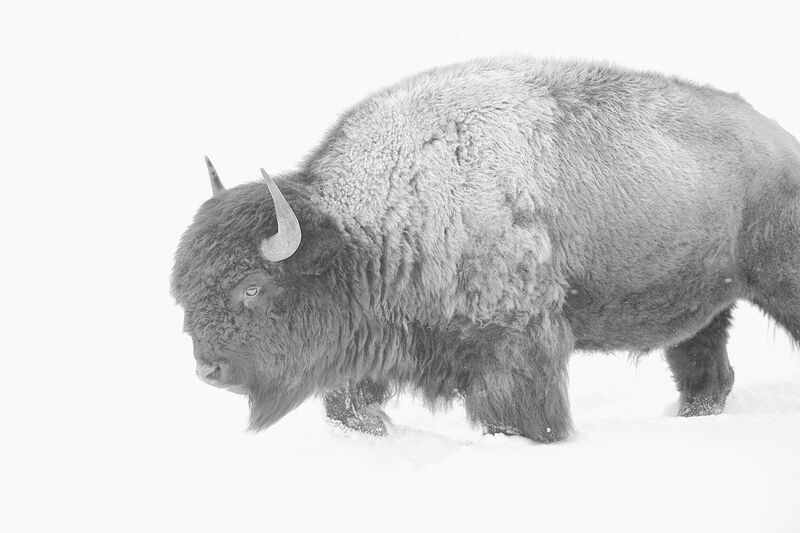 The extreme tonal range on the rag paper accentuates the contrasting texture of the bison coats and the medium’s extremely stable, archival nature is in keeping with the subject matter...both are survivors. The platinum printing process ensures that these prints will be viewed by many generations to come, and if we continue to support wildlife conservancy, so will the special Gift of the Great Spirit. A portion of the proceeds from this portfolio will go to support the Teton Research Institute of the Teton Science School in Jackson, Wyoming, where I am a part-time resident.